This is Avocet B in Wool-Ease. At the beginning of the year I had wanted something that was easy to pick up and just knit every row. This worked out well. The fit is good, if a little longer than I expected. The garter stitch ate up yards and yards of yarn, but the wool-ease was economical. It should end up being a very functional piece. 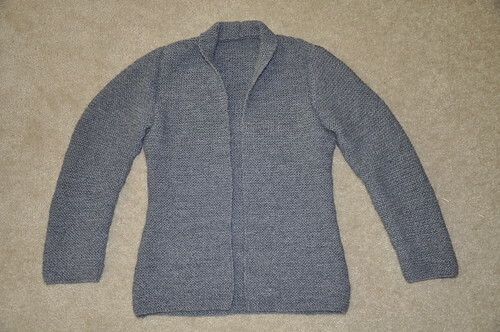 This entry was posted in knit and tagged garter stitch, gray, sweater by dangersquirrel. Bookmark the permalink.